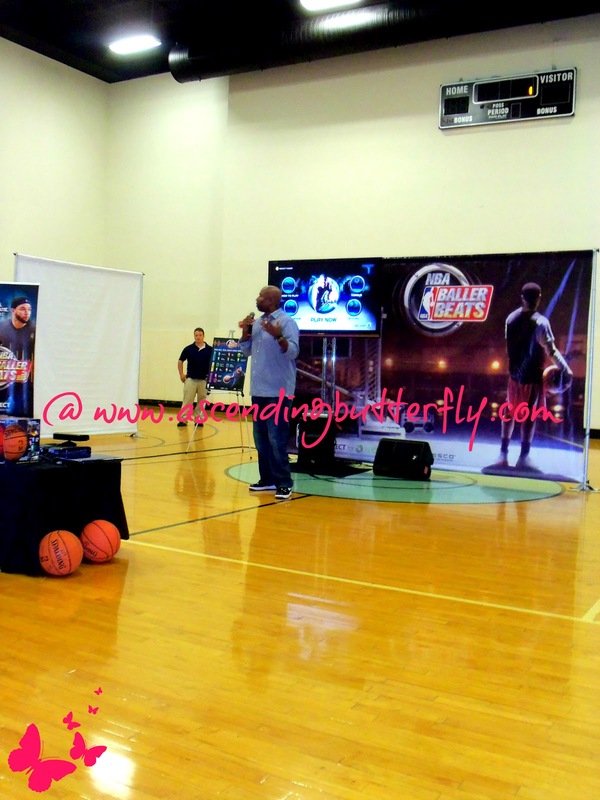 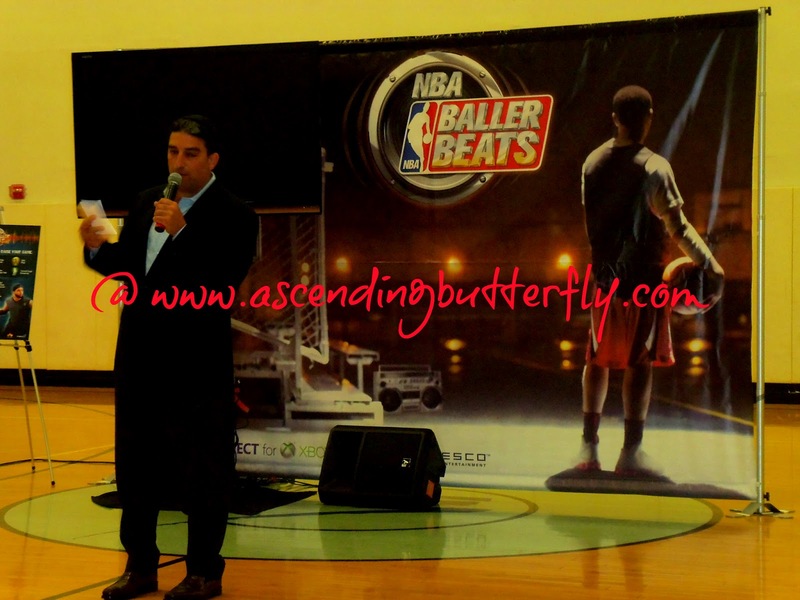 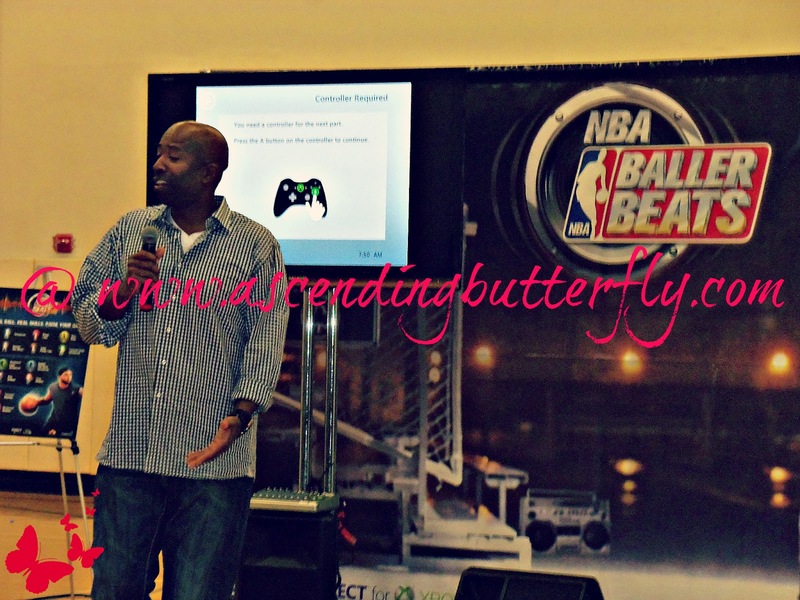 Ascending Butterfly: NBA Baller Beats - Preview Event Recap, Pictures, Video and Game Review! NBA Baller Beats - Preview Event Recap, Pictures, Video and Game Review! 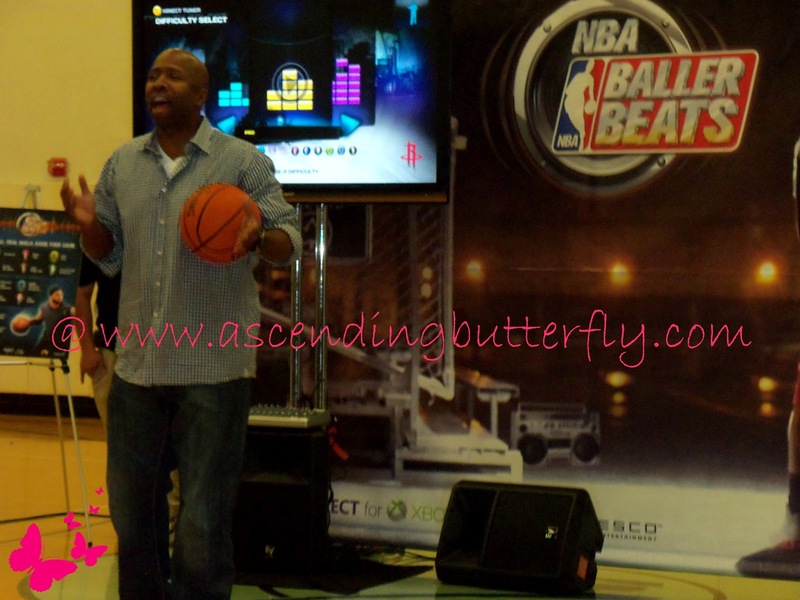 Majesco Entertainment's NBA Baller Beats is now out and I finally get to share my recap from the preview event that was hosted by two-time NBA Champ Kenny Smith and WNBA All-Star Essence Carson! The first ever full-body motion-based NBA video game that lets players use a real ball to gain real skills. Players of all skill levels – from rookie to pro – will dribble to the beat of popular and chart-topping music tracks, across various genres including hip-hop, rock, and old school favorites from artists like Kanye West, Common, Queen, Skrillex, Wiz Khalifa, Rise Against, Santigold, and many more. NBA Baller Beats will come packaged with an official Spalding® NBA game ball replica and will make its debut exclusively on Kinect™ for Xbox 360® on September 11, 2012. NBA Baller Beats challenges players to time their dribble to the beat of each song and perform a variety of skill moves displayed on-screen to score points, earn achievements and unlock assets and additional gameplay. 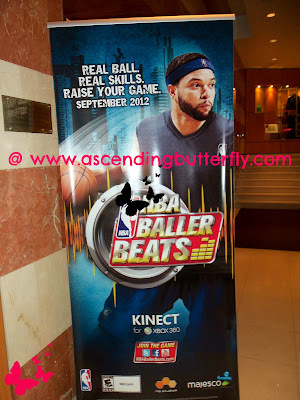 Players are challenged to perfect 20 different baller moves and increase their stamina in single player mode, break it down and practice different skills in Move School mode or show-off in multiplayer mode and go head-to-head against up to 8 players. 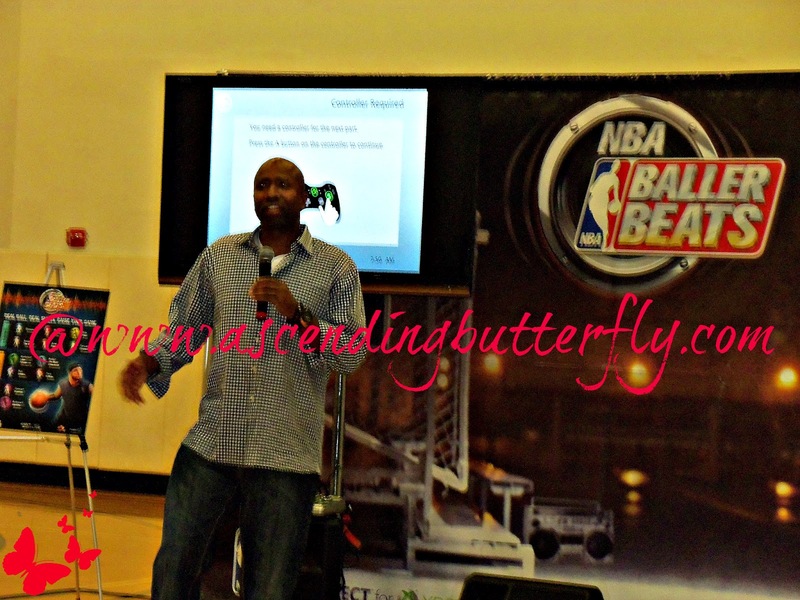 To maximize their performance, gamers can visit the extensive in-game tutorial where two-time NBA champion and Emmy Award-winning TNT NBA analyst Kenny Smith dishes tips for success. 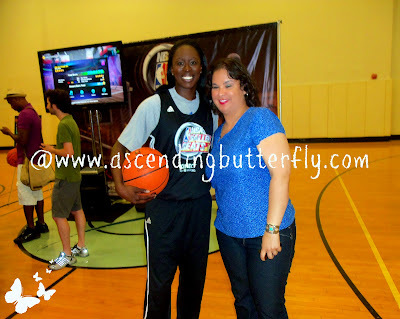 I also had the opportunity to do a one on one interview with Essence Carlson, but because we weren't miked up you can't hear the video so I'm not including it here. I will try to re-shoot with her as soon as her schedule permits. 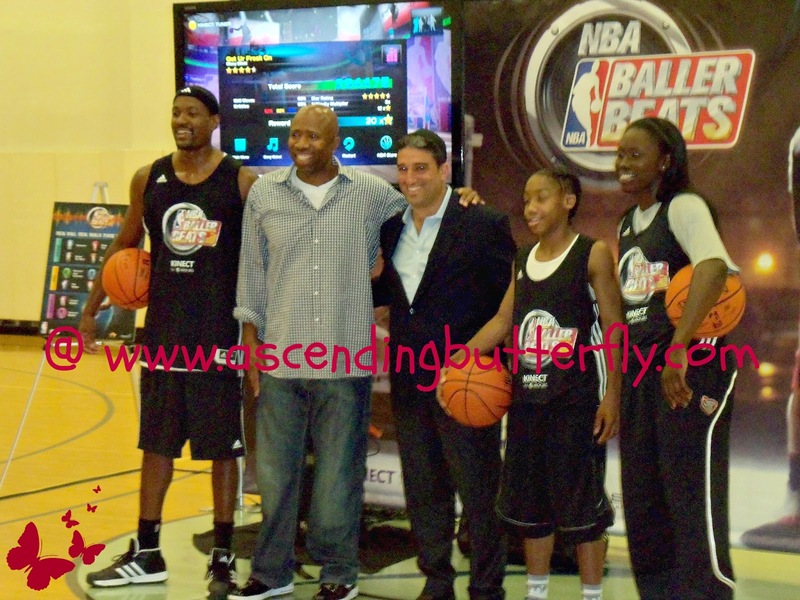 Very Left: Curtis Smith , 2nd: Kenny Smith, 3rd: Jesse Sutton, 4th: Teenage Phenom Jashaun Agosto, Very Right and 5th in lineup: WNBA player Essence Carson. 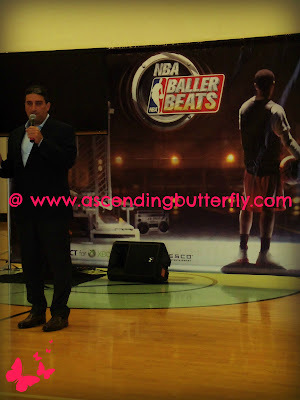 I love music and I love the challenge of trying to dribble in time to the beat which is not as easy as the pros shown in the demo make it look. 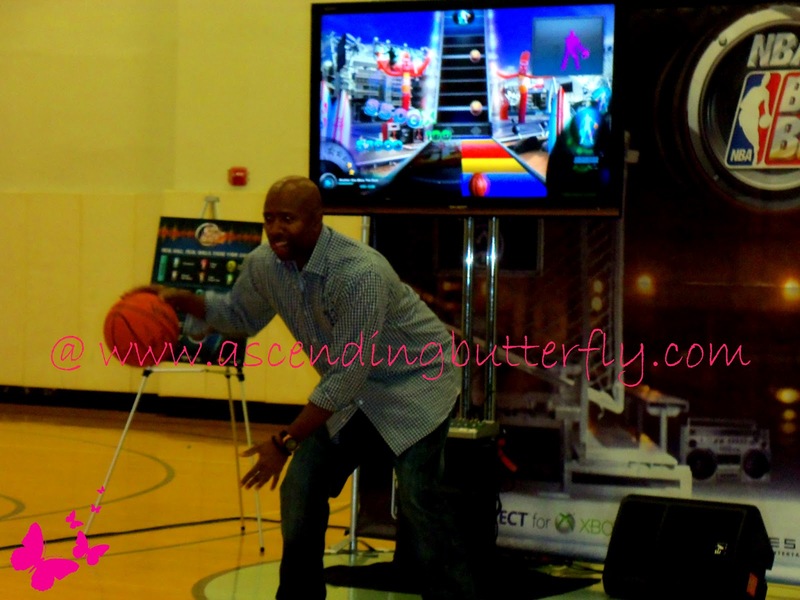 The game is fun, fast-paced and helps you improve your skills, and hand-eye coordination. 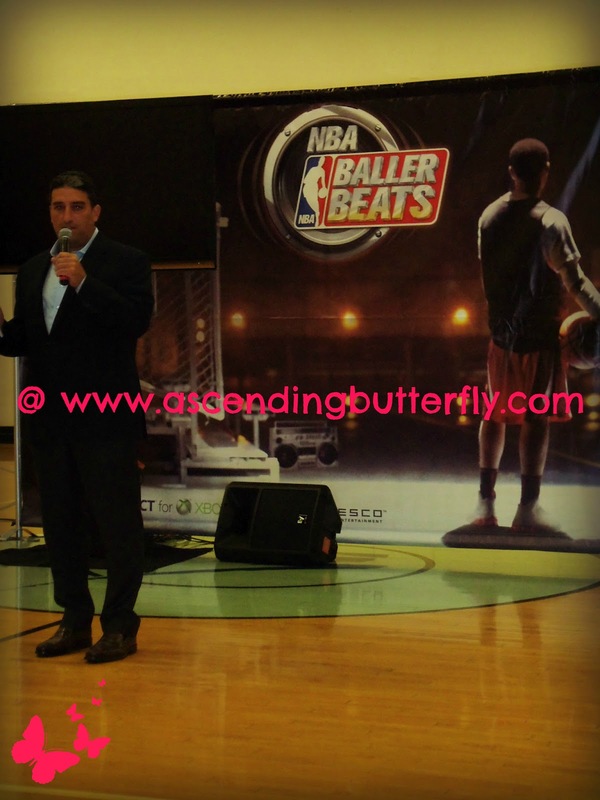 I would definitely recommend you add this game to your holiday shopping list, it's the perfect gift for that Basketball AND Music lover in your life! A few tips: Look at the screen instead of the ball. 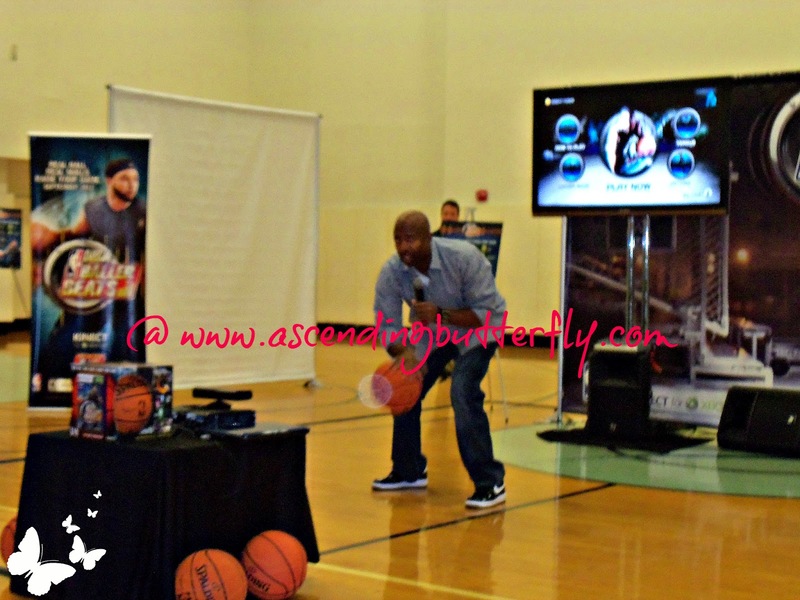 Stay low and bend at the Knees as it will help improve your game and your score, it also helps you work up a sweat, this game is NOT as simple as it looks! 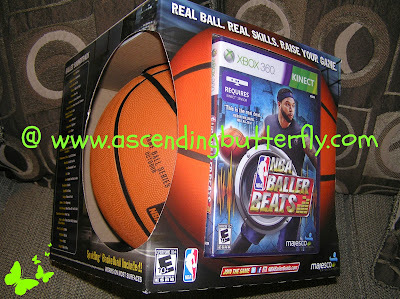 FTC Disclosure: I received a copy of the NBA Baller Beats Game for review purposes and editorial consideration, this is NOT a compensated post and all opinions are 100% my own. I was under no obligation to post a preview event recap.